I love the limoncello but I wanted it a little bit better. I do not like to compromise about style and taste. As I host exclusive guests in Résidence Supérieur, my idea was to offer them a little bit extra, simply because they deserve it. The lemons are hand picked on our own domains and the production is made in a small Italian village. The procedure is of course our well kept secret. 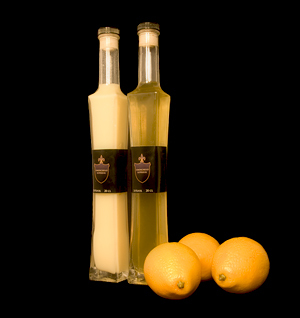 The current sortiment consists of the Limoncello and the Limoncello Cream.